Michiel Huisman is best known for his work on TV, his turns on Treme, Nashville, and Game of Thrones making him the object of desire for female (and male) binge-watchers everywhere. And rightfully so! He’s crazy handsome, and despite hailing from Amsterdam, he can pull off any accent asked of him, making him a shoe-in for every hunky TV role that pops up. The Dutch actor has greater aspirations than being relegated to playing the muscly eye candy on every project he takes, though. Despite the success of Game of Thrones, in which he plays Daenerys Targaryen’s oft-disrobed lover and quasi-advisor Daario Naharis, between shooting seasons of the show, he’s made it a mission to take on more dimensional roles and jump from the world of TV and into the movie theater. Enter The Age of Adaline, Lee Toland Krieger’s San Francisco-set romance with a sci-fi twist. 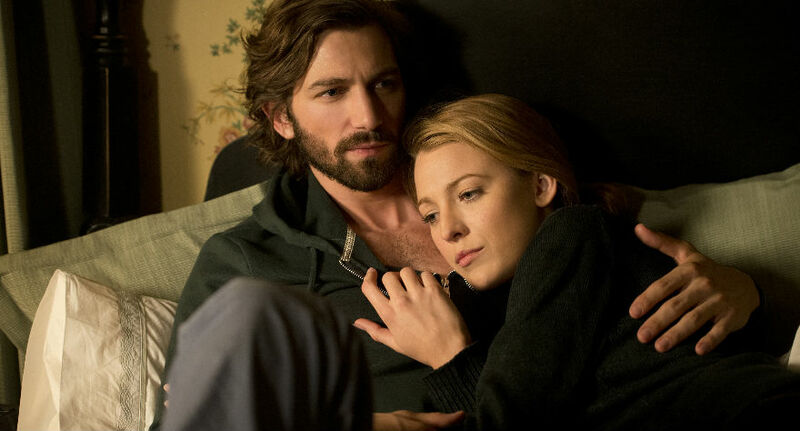 In it Blake Lively plays Adaline, a twentysomething who at the turn of the 20th century is struck by lighting following a fatal car accident, reviving her and, most amazingly, stopping her body’s aging process. As the people she loves begin to out-age her (including her daughter), she’s forced to live a life on the run to avoid being caught by people who may want to exploit her anti-aging properties. Huisman plays Ellis, a modest philanthropist whose connection with Adaline might be strong enough to compel her to stop running. 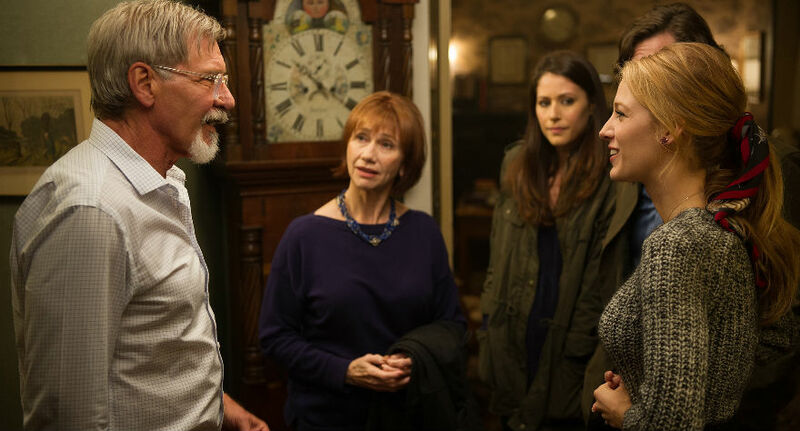 Ellis seems like standard rom-com fare at first, but when his father (played by Harrison Ford) comes into the picture, the story takes an unexpected turn that changes everything. Huisman’s first major role in a feature film is a memorable one that gets his movie career of on the right foot. I spoke with Mr. Huisman in a roundtable interview during his visit to San Francisco to promote The Age of Adaline, though Game of Thrones talk inevitably popped up as the conversation went on. The Age of Adaline hits theaters nationwide this Friday, April 24th. How much filming did you guys do in San Francisco? That’s the kind of question I try to avoid, and you start with it! [laughs] The thing is, shooting in San Francisco is a pain. We shot most of the movie in what we refer to as “San Francouver.” It was very strange for me, playing a character that is very much rooted here in San Francisco. It wasn’t until later, after we chopped the movie, that I made my first visit to the city. It seems to be the story of my life, shooting somewhere that’s supposed to take place somewhere else. I was here two weeks ago for the Game of Thrones premiere. Apart from one afternoon walking around and seeing as much as I could, the next day I had somebody take me around town, and I saw a lot. I managed to see the Bliss Dance statue on Treasure Island. You guys see that one? You should go see it! It’s awesome! By the time the script reached me I was already aware of Blake [Lively] being attached to it, as well as Harrison Ford. The thought of being able to play the male lead opposite Blake and being the son of Harrison Ford in one movie is too much for me, really. That was before I had even read the script. When I read the script, I was swept away by this journey of a woman through time. I thought it could become a very, very romantic movie that kind of feels like a small, independent, well-crafted movie, but at the same time, hopefully it appeals to a large audience. For me there is not a doubt in my mind; I was dying to be a part of it. Also, I come from doing a lot of great TV stuff, which I’m very proud of, but I was really eager to make that step and break into film. The Age of Adaline is special for me from that perspective because it marks the first time I’m playing a leading role in a proper Hollywood production. Are you getting more offers now to play the “hunk” in movies and TV? Yes, but I think it’s very important as an actor to spread your wings constantly and to not fall for the same thing. One of the things I thought was important during my hiatus between two seasons of Game of Thrones was to shoot a cool movie in which I’m not holding a sword. The Age of Adaline really hit that button. One through line in your work is that you play a lot of characters that support strong, incredible female characters. Are you drawn to that? I’m very thankful for the opportunity to work with [those actresses]. I love stories about strong women. I think that there aren’t enough stories about strong women in film and TV. I worked with Reese Witherspoon on Wild and I admired that entire project so much, and the way she played that character, too. If you look at it from that perspective, yeah, I get to support strong women, and that’s cool. I love that. But I also love stories about strong men. [laughs] Maybe in the future I get to play the strong man. One of the most beautiful messages in the movie is about the quality of time as opposed to the quantity of time. This woman’s found the so-called fountain of youth, and it turns out to be such a burden. I thought it was a very nice concept. I thought [the sci-fi element of the story], at least on the page, was not so far of a stretch. For a second I thought, “Maybe I should Google whether this is scientifically possible.” Maybe not with a human, but with a mouse. Can you actually kill it and then bring it back to life? I like that idea. You have to kind of go along with the movie’s concept, and I hope the audience will. What kind of roles do you seek out? I shot this movie basically a year ago. I went back to Game of Thrones, and it’s a show that’s so much about moments. There’s such a big cast, and as an actor I feel like I want to try to nail the moment. I was hoping to do projects during my next hiatus that don’t force me to nail a moment, that really allow me to be a character and carry a story not for a couple of scenes, but the whole way through. That’s how I pick, together with my team, the project I’m working on during this hiatus. I’m about to finish a movie we shot in Australia. We have a week left of stuff in New York…there you go! [laughs] San Francouver, shot in Sydney, takes place in New York. It’s very much a story in which I get to carry it the whole way through. I really enjoyed the freedom it gave me. In a certain sense, it adds a little pressure because I’m carrying the story. If the movie doesn’t work, it’s kind of on me. But when I’m shooting, I don’t really think about that. That comes a year later when I’m talking to people and they’re actually going to see this movie. When was shooting, I didn’t have four scenes to tell a story and sell a character, but one hundred and four. Did you feel like you got to have that kind of arc on Treme? Even though it’s an ensemble, it was developed very thoroughly. That arc was very gratifying to play, but it was that same thing. You get a couple scenes every episode. I love being part of a show, like Game of Thrones for example, that is so well made and so well written. The moments I’m trying to nail as an actor…they’re handing them to me on a little golden plate. “Here you go! You can say to the mother of dragons, ‘The queen of dragons without dragons is not a queen. '” You’re going to do everything you can to try and nail that line! I’m so grateful for that. But when I’m off of [the show], I try to do different stuff. Not only different genres and different characters, but [projects] I can carry. I’ve met Harrison Ford once, and it was the most terrifying experience. I said, “Hello Mr. Ford!” and he just grunted and walked away. Was it intimidating working with him? It was a different experience, really. [laughs] It’s a little intimidating for the first ten minutes because of who he is and because I admire him. But when we started working I was kind of surprised by how invested he was in this project and in this story. I think part of me though that, for him, this is just a little movie on his roster. But I felt like it wasn’t, and he gave it his all. Once he enters the movie, it not only puts it into another gear, but he also put me into another gear. He forced me to step it up. God, I loved it. Harrison’s kind of known to not play well with fans. He hates hearing about Indiana Jones and Star Wars. Now you’re getting a little taste of that with Game of Thrones. You’re playing Daario! The strange thing is, people are probing, but not really. They don’t really want to know. At least that’s my experience. “What’s happening? Don’t tell me!” I think it’s funny. You don’t want to know, really. You’d go crazy if I told you. Daenerys’ storyline is going differently on the show than in the book. We’re letting go of the books this year. I shouldn’t say more. [laughs] Everything I say is some kind of spoiler-y thing. To bring it back to The Age of Adaline, your character, Ellis, uses his wealth philanthropically. What would you do if you suddenly came into tens of millions of dollars? I would definitely set up some philanthropic foundations. A line in the movie I really liked was when he says, “It’s actually really hard to do good.” You try to do good and make the most of the money, but it’s actually really hard. Maybe it would be [a foundation] for the arts, something helping kids find a way into expressing themselves through music or acting, things that have given me so much fun and eventually a career. Jesus Town, USA attempts to tell a real-life tale with the quirkiness of a mockumentary, and it simply doesn't work.